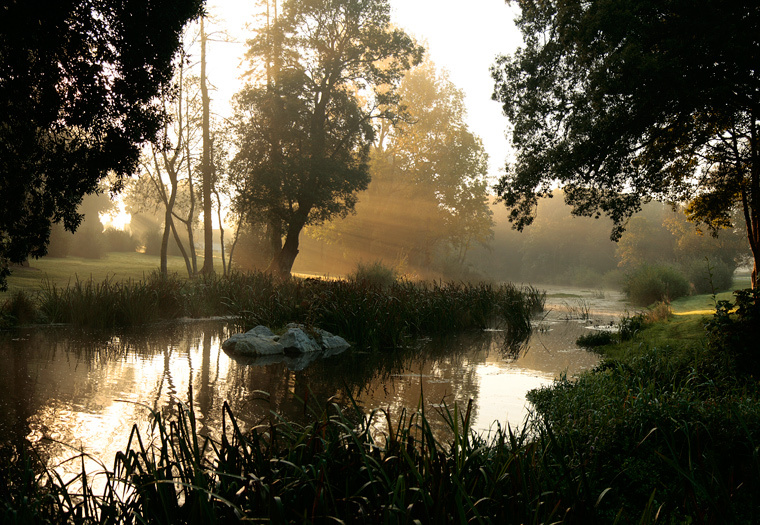 We stayed in Castlemartyr a couple of months back, and one morning I got up early for a walk. A thick mist was rolling over the landscape, and the sun was rising through it. I came down to the river and this was the sight which greeted me - just breathtaking!